ESEE Knives AH1 Arrowhead Point, Black Powder Coating. 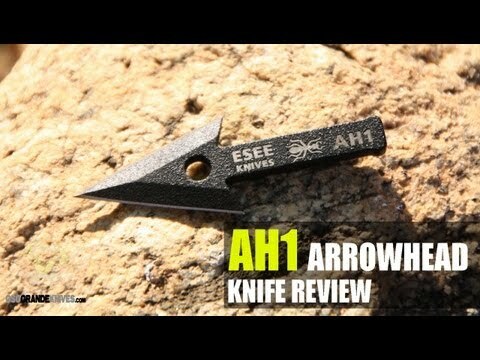 The ESEE AH-1 Arrowhead features a double-edge 1095 steel blade with a black traction coating. It's is primarily designed for use as a secondary blade in a personal survival kit or anywhere else you may find a use. The nubs at the base of the tang along with the hole cutout make it possible to lash the arrowhead to a stick and make a makeshift spear or lance. The AH-1 is small, lightweight and easy carry just in case nature throws an unexpected curve at you.